Ultimate Organic Therapy Stimulating Growth Coconut Oil Repairs, Strengthens, Rejuvenates Shines. It provides a higher level of repair,strength and shine. 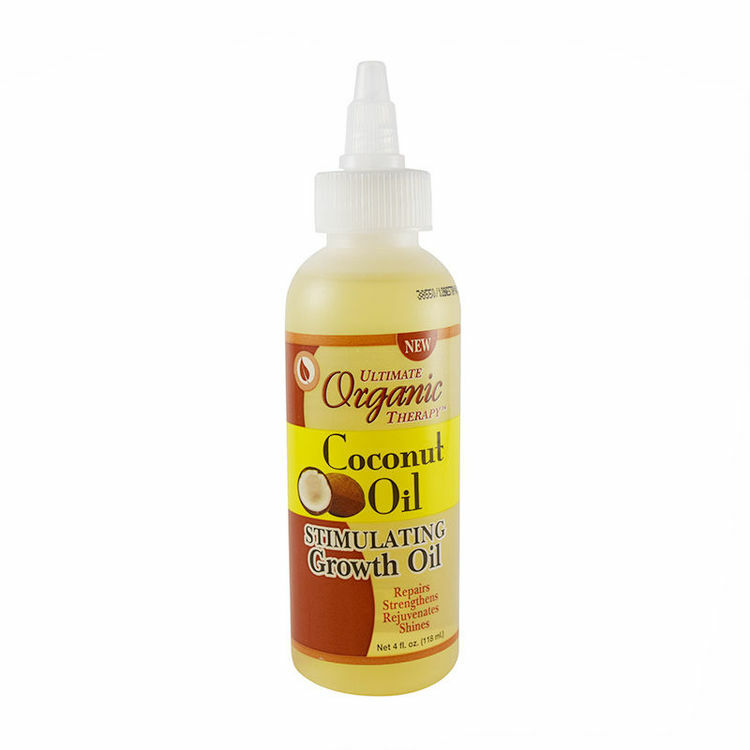 Formulating with all natural properties of coconut oil. This all purpose growth oil penetrates and rejuvenates hair skin and nails for all day long moisturizing and conditioning.